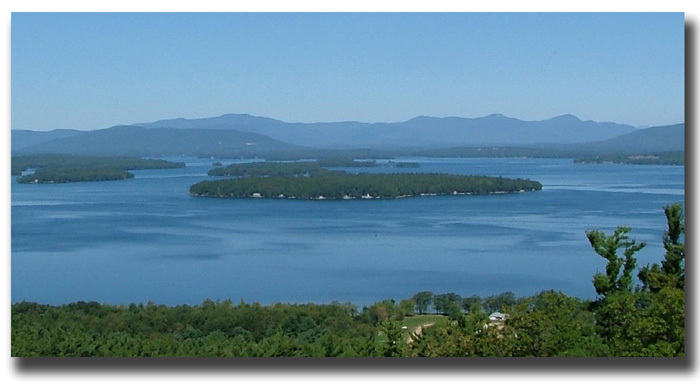 Surrounding Lake Winnipesaukee waterfront in New Hampshire, are seven beautiful towns and one city. The closest highway is Interstate 93 which travels from Massachusetts to northern New Hampshire. Each town along the shores of Lake Winnipesaukee in New Hampshire offer a variety of things to do that you'll never get tired of. As you travel around the lake you'll find that all of the towns have gorgeous views with many lakeside activities. Enjoy the sights and sounds while cruising the lake. Hike the trails and view the entire lake from the summit. Sit and relax on the shore and gaze out into the deep blue water. No matter what you choose, it will be a great experience. If you have the time, grab a map and take a drive around this New Hampshire lake. Take in the sights of the local communities. Browse the local shops, do some antiquing, stop in a local museum to learn about the history of the area, stop along the way to do some fishing, grab a meal in one of the local restaurants. Each community offers a different experience. Visit for awhile and plan a relaxing getaway. Each of the New Hampshire towns surrounding the Lake Winnipesaukee waterfront offers many places to stay. There are quite a few hotels and motels, bed and breakfasts, resorts, inns and other vacation rentals available to make your stay enjoyable and provide you with a wonderful experience. Our usual hangout is on the southern half of the lake. This is where we do most of the waterskiing, tubing and sailing. On days when we don't feel like doing activities we cruise on over to the northern half just to go sightseeing or check out things happening in that area.